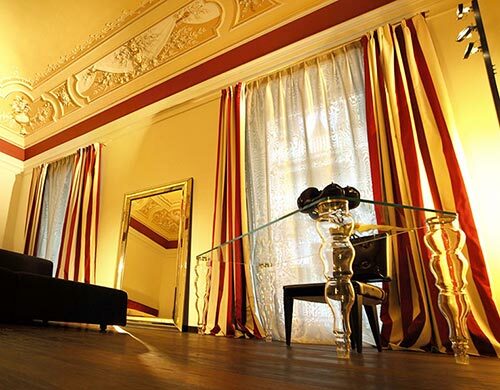 The guests of Romano House Catania Hotel start living their holiday at best within the elegance and sophistication of the rooms and suite - because the glory of the baroque buildings outside reflects on the Hotel rooms, to combine with the most modern and exclusive design. Each room, each suite in Romano House is a little pearl, a unique location where every single detail is in perfect harmony with the whole atmosphere - from frescos on the cieling to tissues, from ornaments embellishing the room to illumination. Fifty treasures, each one different from the others: choose yours.